Our technicians respond quickly to all disaster emergencies to limit and restore the damage using advanced cleaning products and equipment. With services available 24/7, contact us any time at for emergency disaster restoration or cleaning services in Portland, OR and the surrounding areas: Beaverton, Tigard, Hillsboro, and Gresham. Water damage is one of the most common problems a home or building may experience. But failure to take immediate action will allow it to spread, creating a bigger mess. 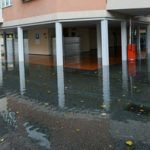 There are many factors that can cause excess water to enter your home or building. This includes flooding, rain, burst pipes, and leaks as it can spread easily through absorbent building materials. RestorationMaster provides moisture inspections and water damage restoration services to remove excess water from homes and businesses in Portland, OR and the surrounding areas. Our technicians guarantee arrival within 2 hours of the initial call to stop the water from spreading. In the event of a sewer backup, the cleanup process should never be done using household products. In addition, the waste water contains many dangerous bacteria that is severely hazardous to your health. This should be handled by a professional, licensed restoration company. RestorationMaster is available in the Portland, OR area to provide emergency sewer cleanup services to not only restore the damaged materials and contents, but to prevent the damage from spreading further. Our technicians use advanced products and equipment to safely extract all waste water and sanitize the affected surfaces. They also have frequent training sessions in addition to their years of experience to remain up-to-date on the latest cleaning and water extraction techniques. With our services, you can be sure that your property will be restored to provide a sanitary living condition once again. It only takes a second for a fire to start in a home or building, and it can quickly cause widespread, severe damage. 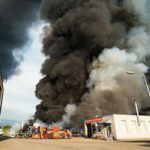 But extinguishing the fire does not stop the spread of the damage because soot and corrosive byproducts are left behind; therefore, the damage they cause can become permanent if not cleaned up immediately. 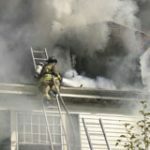 RestorationMaster provides fire damage restoration services in Portland, OR and the surrounding areas to clean damage caused by fire, smoke, and soot. We respond quickly while providing additional services including deodorization and pack-outs. Discovering smoke and soot damage on your property can be a shocking experience. Similar to fires, smoke has the ability to spread quickly throughout a home or building, penetrating deep through the building structure to affect other areas. While immediate treatment is needed in order to prevent additional destruction, it is crucial to avoid permanent damage. RestorationMaster is available in the Portland, OR area to provide emergency soot and smoke damage restoration services. Our technicians use advanced products and equipment to effectively remove all of the etching and tarnishing produced by the smoke residue. As they have years of experience in restoring properties, they are available to handle both commercial and residential buildings of all sizes. We also work with insurance to allow the claims process to run as smooth as possible while you can focus on other matters. It can be difficult to prevent mold spores from entering your home after a flood or storm. That is why it is important to test and dehumidify all areas as they only require moisture and a food source. It can then spread to other organic surfaces, causing further damage and increasing the risk of negative health effects. But this can all be avoided by calling RestorationMaster; our technicians provide mold remediation services in Portland, OR and the surrounding areas. Here they are trained and equipped with effective products to remove all mold spores while preventing its growth beyond the contaminated area. It can be reassuring to know that your home or building has finally been restored; however, it can be a whole new headache to discover that a foul odor has been left behind from the damage. As it is natural for the sources of damage to produce these smells, they can be harmful in containing bacteria and pathogens that may cause negative health effects. RestorationMaster provides deodorization services in Portland, OR to have these foul odors completely removed. Our technicians have years of experience and training to remove all traces of odor, in addition to the source, using advanced products and equipment. As the sources of the foul smell can include water damage, mold, biohazards, pets, and more, we service both residential and commercial properties of all sizes. Finally, you can return to your home or building knowing that the damage incurred to your property is restored once and for all. Fire, water, and mold can each cause pervasive damage to a home. They can also spread through the walls and floors to affect your personal belongings. This makes all household items susceptible to damage, but if not restored properly, they can become permanently ruined. RestorationMaster will effectively restore your belongings through their content cleaning and pack-out services. However, if the condition of your home does not allow us to restore your content on-site, we will pack and transport your belongings to our facility for cleaning and storage. 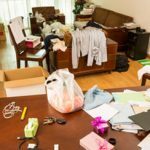 Hoarding is a complicated issue that can have detrimental consequences. However, throughout recent years, advanced research has been conducted to allow services, such as RestorationMaster, to better serve affected individuals. The behaviors associated with hoarding stem from deep anxiety issues. This is why those affected have a difficult time parting with their belongings. But over time, the accumulation of hoarded items create dangerous and unhealthy living conditions in a home. We provide cleaning services to help those in Portland, OR and the surrounding areas who struggle with hoarding to restore their homes. We take a compassionate approach to these projects and ensure the affected individual is involved in every step of the cleaning process. Your carpet says a lot about your home or office as it has a major effect on the appearance of the area. It is also one of the first furnishings that visitors notice when entering the room. RestorationMaster provides professional carpet cleaning services in Portland, OR to thoroughly clean and restore carpeting in commercial and residential settings. To do this, we use the hot water extraction method to remove deeply embedded debris, giving your carpet its brand new look once more. Experiencing property damage from a natural disaster is bad enough; however, if the damage to the exterior or structural elements of the home or building is severe, it will require remodeling or construction services to rebuild. Fires, floods, major storms, and even vandalism can result in serious damage. But without quick stabilization, the damage may become worse or even permanent. However, RestorationMaster provides reconstruction and home remodeling services to rebuild homes and buildings in Portland, OR that have been seriously damaged in a disaster. We employ a complete construction crew that will form an effective plan and follow through with every step of the process. If you have discovered a significant amount of aftermath on your property left over from a construction site, it can seem not only disappointing to return to but overwhelming to handle yourself. Unlike small rooms and apartments, large amounts of dirt and debris in a large building or house will require additional help. RestorationMaster provides professional post construction cleanup services in the Portland, OR area to fully remove all debris that was left behind from a remodeling or restoration job. They will fully clean the building structure as well as any content. They will even improve the indoor air quality of the property by cleaning the HVAC system and remove any sawdust particles from the air. Our team of staff has years of experience in tackling the job both efficiently and effectively so that you can get back to your normal routine in no time. Please feel free to call our office for more information. Discovering your home covered in holes or severely damaged after a natural disaster can be horrifying. Especially if it has been left in an unstable condition, it faces the risk of additional damage or even collapse as immediate action must be taken to stabilize the structure. RestorationMaster provides 24/7 emergency board up services in the Portland, OR area to provide temporary stabilization and prevent additional damage to residential and commercial properties. Our technicians are both licensed and experienced to arrive soon after receiving your initial call to start the work right away. Finally, we will work with your insurance company throughout the claims process to allow you to focus on other matters. When businesses suffer substantial property damage, a timely reaction is essential. RestorationMaster provides emergency commercial restoration services to businesses in Portland, OR, to limit the extent of the damage sustained, and get your company back to work. We understand that time away from operations is an additional cost, which is why we pride ourselves on efficient and effective restoration services. No matter what the cause of the damage is, our highly skilled technicians and project managers will ensure a quality result.